As a leading provider and operator of charging infrastructures, the services division of Netze BW GmbH possesses the highest level of expertise in complex infrastructure topics and outstanding competence in the implementation of a functional charging infrastructure. Benefit from our experience along the entire value chain: from consulting, conception and planning to approval procedures and the construction and technical operation of your charging infrastructure. 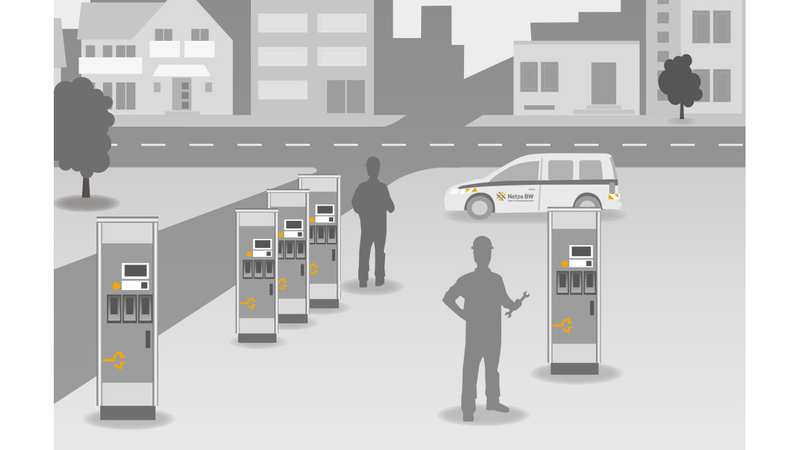 We will bring your individual charging infrastructure to the site of your choice.